Copyright © 2019	Sean Harris. 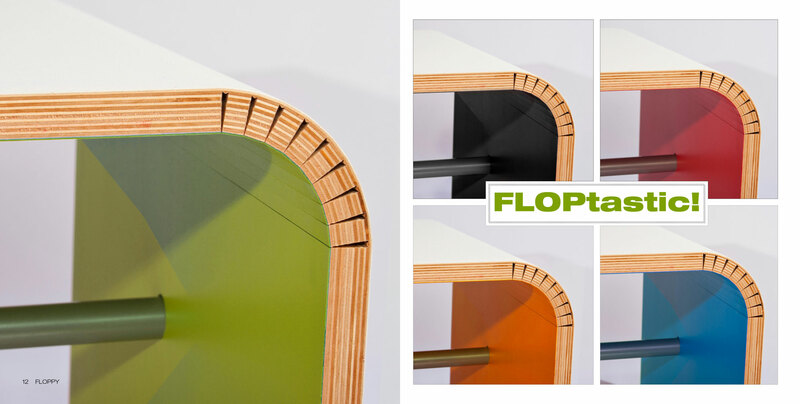 FLOPPY is a single continuous flexible panel that instantly ‘flops’ into a table. 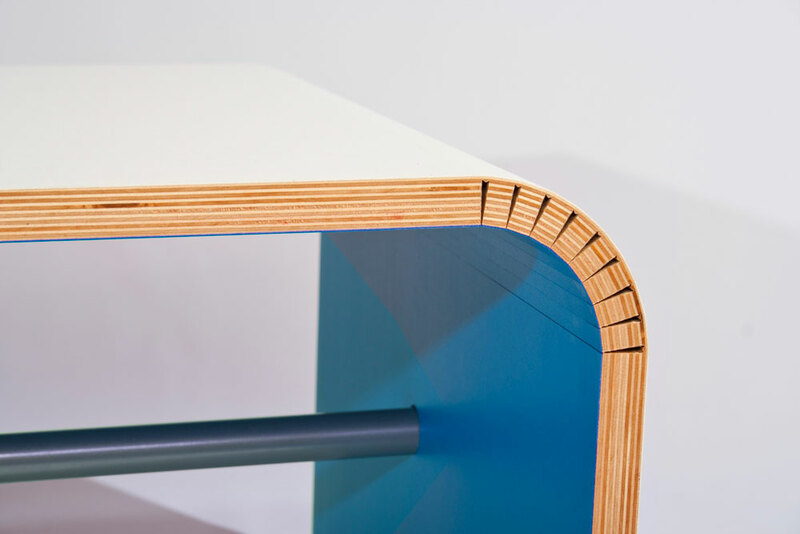 By simply bending the ends up from the flat position, the bar slides through the panel and locks it in place using tension. 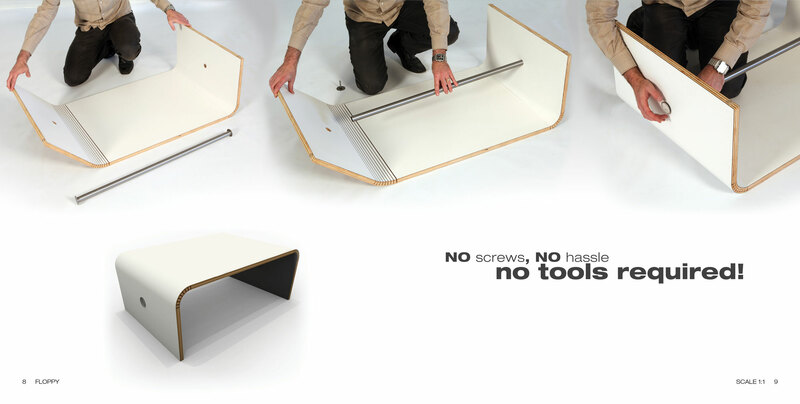 Like many of the Scale1:1 furniture, it ships flat and assembles in minutes with no special tools. FLOPPY is stack-able, stores and ships easily. 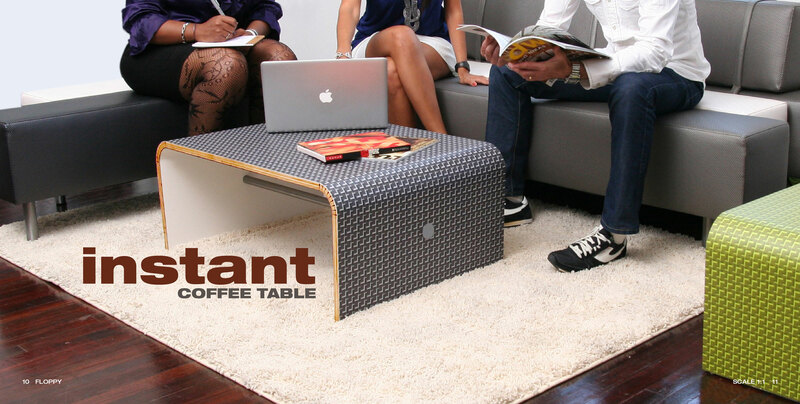 I was an integral part of the research, design, and prototyping to bring this furniture product to the market. Copyright © 2019 Sean Harris.